Nylon mesh belt impregnated with silicon carbide abrasive removes tarnish, rust and scale, and buffs rough surfaces to a smooth finish. The open pores of the mesh work as a kind of 'air conditioning' to carry off heat that would otherwise damage delicate finishes. 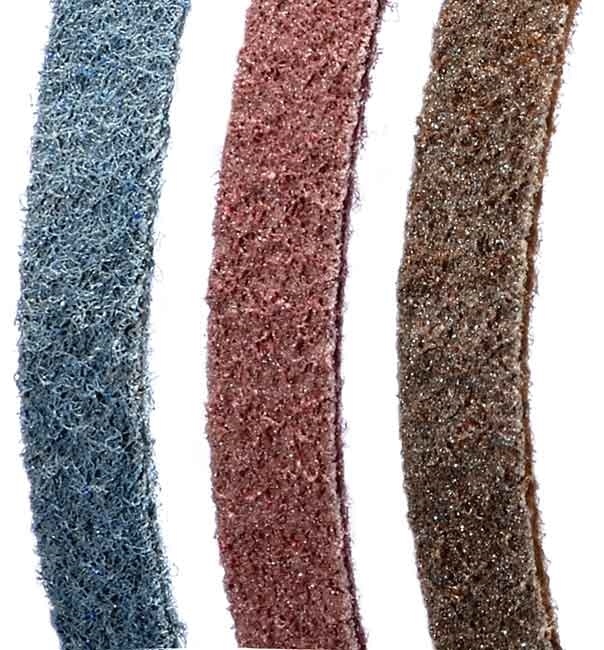 Abrasive particles are embedded throughout the mesh, so fresh abrasive is exposed as the belt wears, giving up to 10 times the life of a standard sanding belt. Tap water washable. Fits our disk/belt sander and other machines that use a 1 inch wide x 30 inch long belt. Comes with one belt.